Closeup with xCephasx; photographed by Mescondi, oka Conor Cunningham. Catching up with Vancouver wonder Cephas Munga, aka xCephasx, fka Brodie Bones, Ghozt Pit, Blac Hollywood & the curator of the Chill Rose Place brand; we present the world premiere of the “Come Down” video that blends together classic film techniques that muddies up the high definition lens. A multidisciplinary artist who has always been down to experiment with all styles from cryptic productions, hedonistic blues, rhythms with a paranormal take on hip hop stylistic conventions—xCephasx embodies & embraces the forever changes of a world where fashions & trends are in the infinite ether of flux where nothing is ever static. Munga maintains a unique myriad approach that indulges in the ether where dissonance & those gray area definitions between the thin line between sound/vision relations become blurred. Mixing film effects with a variety of other enhancements & narratives that salute the works of Argento & more; xCephasx illustrates the feeling of coming down & coming in for ground landing that descends from the highest of hypnagogic heights. From classic cigarette celluloid burns, cemetery strolls, & mixed media collaging that blends animated skulls, film negative effects & a bevy of cinematographic experiments—splashes of scan-lines, fuzzy audio/visual blurs & more point toward the nearly endless opportunities that analog x digital hybrids can provide. The production of “Come Down” basks in both the build up & inevitable tumble-down that defines the swings of highs & lows that definite the pendulum spun & swung cycles. Vancouver’s xCephasx expands all aspects of production & delivery while utilizing the liberating components of vocal effects that makes for both a melodic & moony affair. “Come Down” is the anthem for anyone coping with the morning after of a long night, or a previous long day/month/year/decade where the inner-reckoning rides that strange parallel lines between life, death & all those altered states in between. Catching up with Vancouver’s xCephasx, oka Cephas Munga; photographed by Mescondi, aka Conor Cunningham. How did the Italian horror film approach become the set approach for the “Come Down” visual? Italian horrors have an incredible way of holding the audience in suspense. Not only that but the way they are able to tell stories without talking. Dario Argento and Mario Bava are my favs. How do you apply both this subliminal & subtle nature in both your sound & visuals? Adding suspense in music was something I learned from Prince. I live off music documentaries. They’re essentially fodder for my creative process. But horror movies shape my entire process. Very inspired by movie scores. And posters. My entire artistic presentation is very retro drive in. Talking with xCephasx; photographed by Conor Cunningham. Tell us more about how you create this whole ‘retro drive in’ aesthetic. Right now retro drive in is just a phase for this video to be honest. I’m already onto the next thing which for me will be black and white. Still in the film category. Film noir style. For me it’s all about making things look a little bit weird and creepy. Film allows you to do things in low budget and get away with more than a super HD production. Videos are becoming too much like candy. It’s time to make them grittier again. For you what is the intrinsic balance between that candy 4K HD & that analog, mixed media, burnt celluloid look? The music is the balancing point that carries the weight. My music is becoming more and more contemporary and simpler. Not to say that I’m conforming, but I’m learning to use less to do more. The world of xCephasx; photographed by Mescondi (Conor Cunningham). Would like to hear more about your progression of doing “less with more” & what’s next with the Chill Rose Place imprint/brand? I’ve been really studying pop songs. I’m currently transitioning into producing for pop artists. I’ve always wanted to work with female singers. I’m already making strides. I want people to digest my madness as opposed to being disgusted by it. Being successful means always adapting. Chill Rose Place is a forever brand. I’m taking more of a leadership role in it and putting my own music on the burner to help others. The goal with Chill Rose Place is to inspire people through digital media. Labels aren’t doing artist development anymore and I believe that’s where we strive. Artists need to find out who they truly are. Only then can they create honest art people will gravitate to. Leo Sins got his album COLORFUL on the way. I produced a few tracks there. Swamp G collab EP on the way. Both those guys are from Austin Texas. Dumpstercamgirl is finally dropping music. I’m so proud of her! Bhura has a gem in the vault. Hubbo is working on Honeypot. I have a track dropping soon called “Olive Hill”. There is so much product being created at the Chill Rose Factory. Super excited for the future, Cephas! Any thoughts on processes of healing & progress for a world that feels like it’s at constant civil war with itself? Solutions for stopping/calling out hate & other abusive behaviors? It’s easy to be swayed by portraits of people who have been painted as heroes. As more problems arise it will be harder to see clearly who the responsible party is. You have to stay true to your gut feeling and go off sheer instinct. 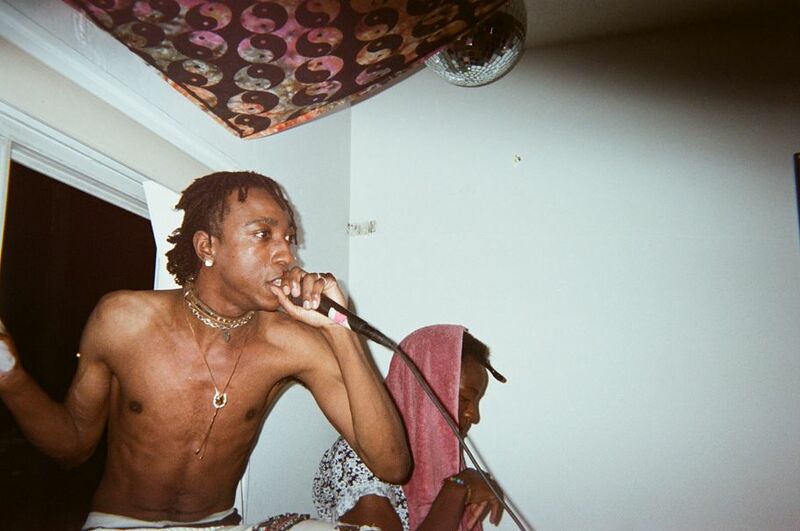 Listen to more from xCephasx & crew affiliates via Chill Rose Place.